Spain Spanish property vacation homes to rent for your next vacation. Click in to book online and reserve. Torrevieja Town Centre Torrevieja started life is an old fishing town, situated 25 miles from Alicante and 60 miles south of Benidorm. The World Health Commission designated it the healthiest area in Europe, as it is surrounded on three sides by sea and two large salt lakes. The town itself has four golf courses, five bowls clubs, two aqua parks, a marina and a prom several miles long. Most important, there are no tourist hotels, hence no lager louts. The area has about ten days rain per year. 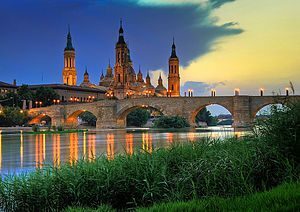 Holiday homes in Zaragoza Aragon for an unforgettable vacation. We offer you the best houses in Zaragoza Aragon at the nicest spots. View our array of vacation homes, bungalows, apartments and holiday parks in Aragon and book your vacation home here. Marbella homes in Andalusia for an unforgettable holiday. We offer you the best vacation houses in Andalusia at the nicest spots. View our array of homes, bungalows, apartments and holiday parks in Andalusia and book your vacation home here. Holiday homes in Balearic Islands for an unforgettable vacation. 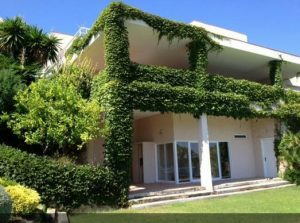 We offer you the best houses in Balearic Islands at the nicest spots. View our array of homes, bungalows, apartments and holiday parks in Balearic Islands and book your vacation home here. Holiday homes in Canary Islands for an unforgettable vacation. We offer you the best houses in Canary Islands at the nicest spots. View our array of holiday homes, bungalows, apartments and holiday parks in Canary Islands and book your vacation home here. Holiday homes in Catalonia for an unforgettable vacation. We offer you the best villas and houses in Catalonia at the nicest spots. View our array of vacation homes, bungalows, apartments and holiday parks in Catalonia and book your next vacation home here. 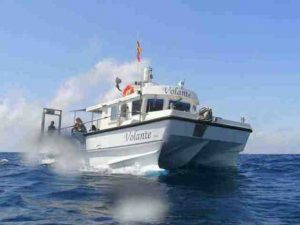 Costa Blanca Spanish Accommodation Take A Break Holidays vacation rental properties Ponta Prima Torrevieja La Marina Village. Holiday homes in Extremadura for an unforgettable vacation. We offer you the best houses in Extremadura at the nicest spots. View our array of homes, bungalows, apartments and holiday parks in Extremadura and book your vacation home here. La Marina Spain Rental Enquiry Take A Break Holidays Spanish Accommodation vacation rental properties La Marina Village and Urbanisation. Murcia Spain Rental Enquiry Take A Break Holidays Spanish Accommodation rental properties Murcia area Villages and Urbanisations. Group Accommodation suitable for Large parties in Spain Wedding Anniversary Celebrations, Reunions Extended Families etc. 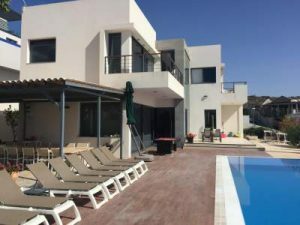 looking to stay in Larger villas that is ideal for a group. Purpose Built Elderly Care Facility for Sale: Catral, Spain. Details are available to genuine applicants. Accommodation suitable for Large parties in Spain at Sitges on the Sunny Costa Brava Spain. Life is very cosmopolitan in Finestrat, attracting a broad range of visitors and residents from all over Europe. 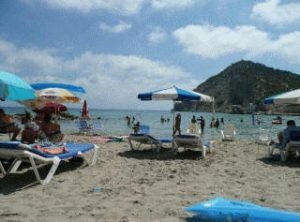 In summer months La Cala is a favourite with families. Spain, the second largest country in Europe (France is the biggest) is located in southwestern Europe in an area known as the Iberian Peninsula. Spain is surrounded by the Mediterranean to the east and to the south, Portugal to the west, the Atlantic to the southwest, and France, Andorra, and the Bay of Biscay to the north. The Balearic Islands located in the Mediterranean and the Canary Islands situated in the Atlantic are also part of Spain. Spain is a country with a rich, colourful and diverse history, a land of many varied regions and a people who are proud and welcoming. The legacy of the Phoenicians, Carthaginians, Romans, Visigoths, Muslims and Christians have all left their mark throughout the country. Spain´s landscape varies from the green wetlands of Galicia to the sunbaked plains of Castilla-La Mancha, from the deserts of Andalucia to the rugged snowcapped peaks of the Pyrenees. Even its coastline differs from region to region, from the fabulous dunes and windswept beaches of the Costa de la Luz on the Atlantic coast to the cliffs and estuaries of Galicia in the northwest of the country. The lifestyle in Spain tends to be of a far slower pace than is typical in most European countries, once you adapt to the pace of life, it´s easy to appreciate its benefits. Take A Break Holidays takeabreakholidays, Spain Accommodation. San Francisco De Asis, Urb Marina, San Fulgencio, 03177, Alicante, Spain.